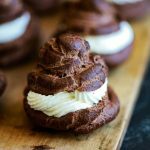 Chocolate Cream Puffs are NOT hard to make and we’ll prove it! With just 15 minutes of prep time, you can create this show stopping dessert that’s guaranteed to turn heads. Customize the filling with your favorite flavors for a fun twist! In a large sauce pan, add water, butter and salt and bring to a boil. Add flour and Rodelle Gourmet Baking Cocoa and stir with wooden spoon until mixture forms a ball. Remove from heat and allow mixture to cool 10 minutes. Add eggs, one at a time, stirring with wooden spoon until fully incorporated. Add the dough mixture to a piping bag fitted with a large circular tip and pipe approximately 2" mounds, evenly spaced, onto a parchment lined baking sheet OR drop dough by heaping spoonfuls onto parchment lined baking sheet. In the bowl of an electric mixer, add whipping cream and beat with a whisk attachment until thickened. Add rum and honey and continue whipping until soft peaks form. 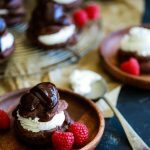 Slice cream puffs in half with sharp knife. 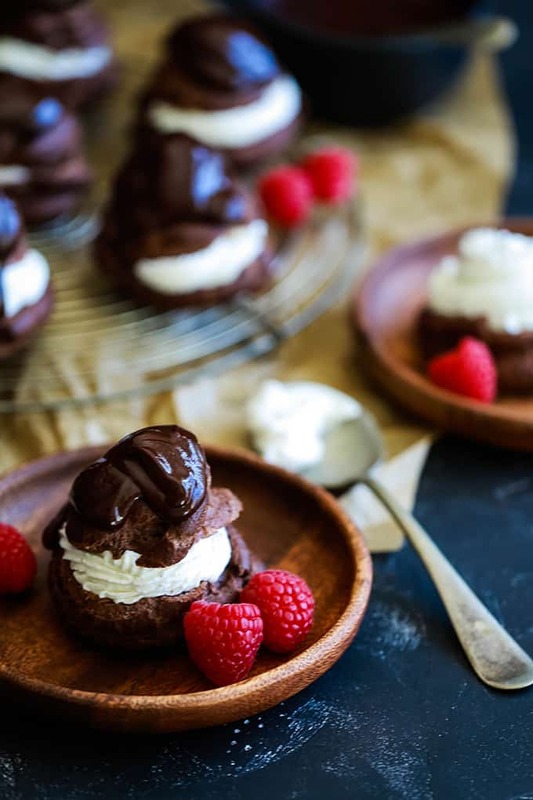 Remove the soft inner portion of cream puffs with spoon. 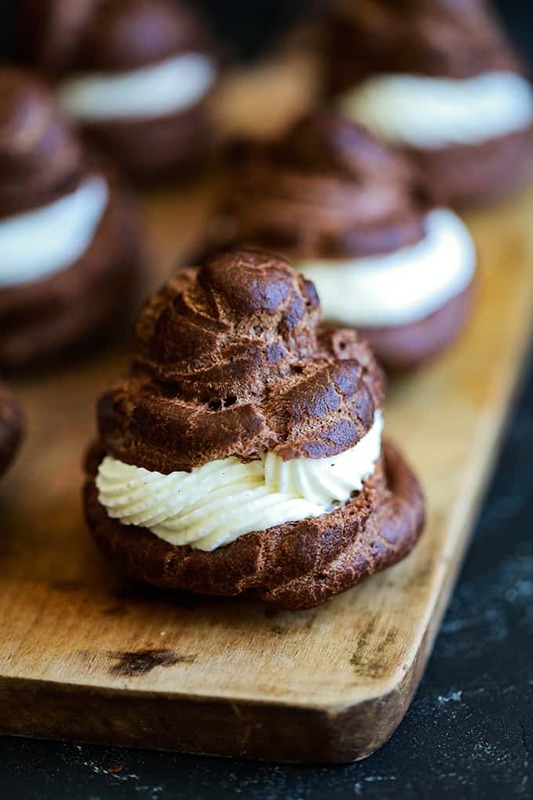 Place bottom half of cream puff on serving plate and fill with whipped cream. 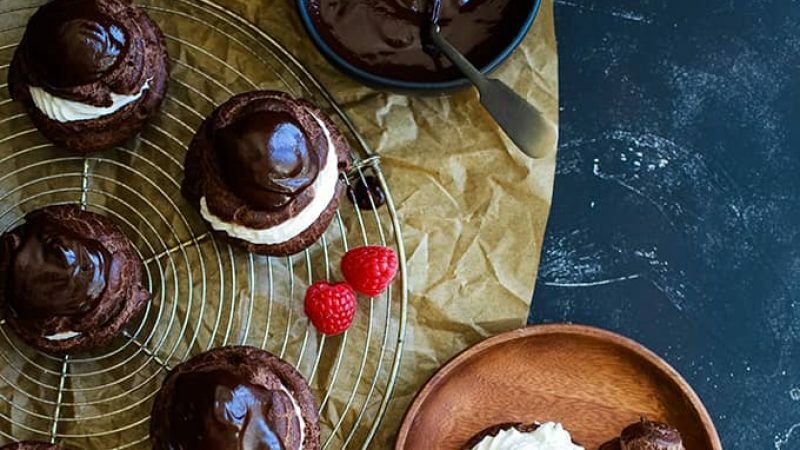 Replace top of cream puff and drizzle with Microwave Chocolate Ganache. Garnish with raspberries and sprinkle top of cream puff with powdered sugar. Note: this recipe was prepared by Melanie Makes for Rodelle. Click here to read more helpful tips and see the original post.